Been finding out a bit about these units and know how well regarded they are. The one that keeps popping up is the Cascade 7944. But I can see there are lots of other models including Traffic Pro and Grand Prix. 1. 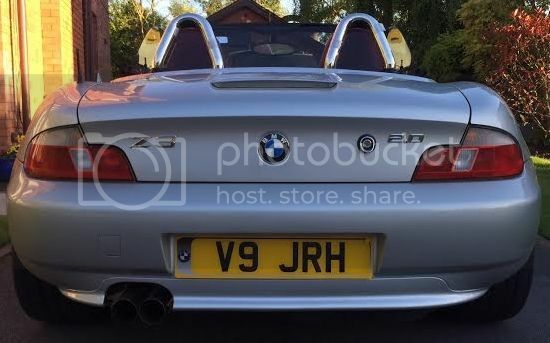 Will any Becker model, for any make of car fit/work in a pre-facelift Z3? 2. Are there certain models to aim for or avoid? I'd be quite keen to have Sat Nav function but would be interested to know best choice models with and without. If there's a Becker model guide on an old post I've missed please tell me but I couldn't find one. I fitted the Becker Cascade a number of years ago to mine. You can see the pics on my thread above. You are able to change the colour of the lighting to the more OEM orange so It matches better. Fitting wise it was reasonably simple for my facelifted car just a matter of removing a few bits of trim to feed the SAT NAV receiver, microphone etc. You do need to buy a simple connector adaptor for the unit from ebay for about £6 and then it's plug and play. You can also add the ipod adaptor which I did so you can access all your songs directly from the head unit but it does need to be a slightly older style classic ipod. I've put my connector in the glove box like most. The unit is amazing, sound wise and functionality. I paid £300 for mine from a guy 10mins down the road and then bought the ipod connector separately. Last edited by ('_')Z3 on Tue 29 Mar, 2016 12:29, edited 1 time in total. I Have a Becker Head unit for sale if you wanted it? Which model and what price? traffic pro. got all manuals and CD's for sat nav. £40 plus post? Mine still available too. Becker cascade, nav discs, manual, original boxes and With the iPod connector also. ('_')Z3 wrote: Mine still available too. Becker cascade, nav discs, manual, original boxes and With the iPod connector also. Alas it's not £40. The other one might be but I suspect it's a typo.